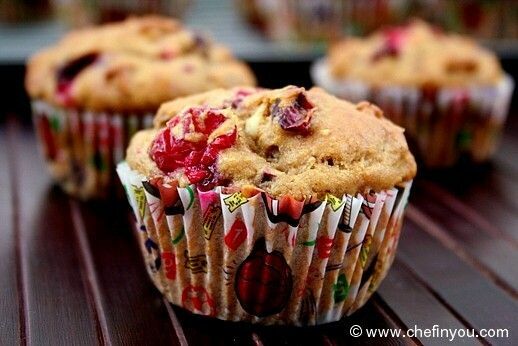 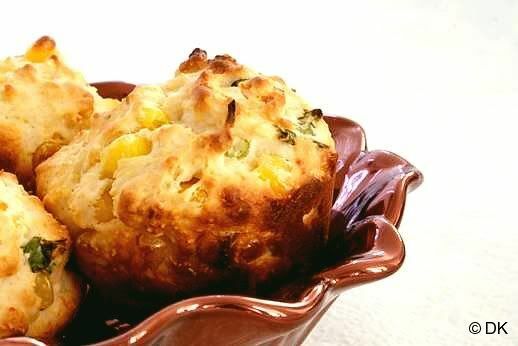 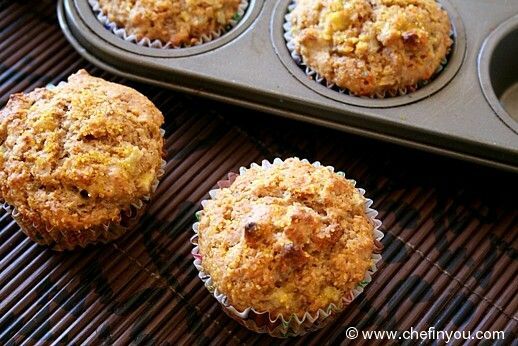 Healthy muffin recipe with fat free Greek Yogurt, berry, banana and Quinoa. 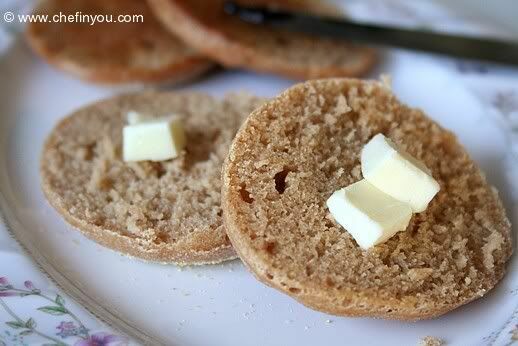 It is eggless and contains no butter. 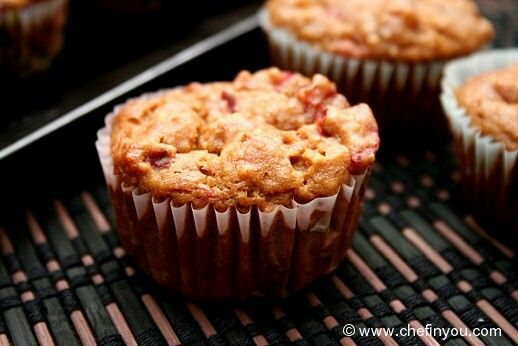 Chewy muffins and/or Loaf - these are filled with light tartness of cranberries and crunch of walnuts.It makes for a power packed & hearty breakfast. 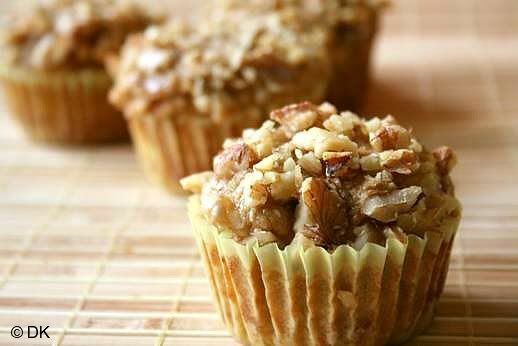 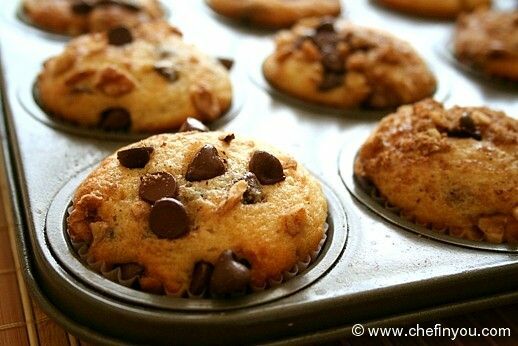 These yummy muffins are moist with generous chocolate chips and sprinkled with a delicious topping of walnuts, cinnamon and more chocolate chips! 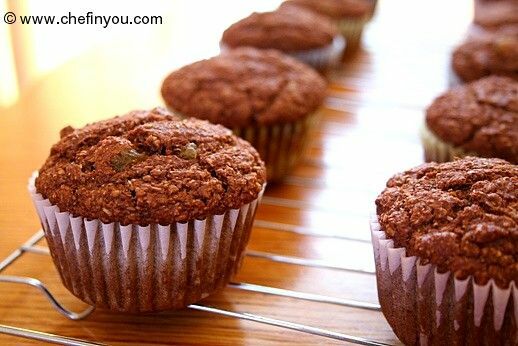 For all choco lovers.